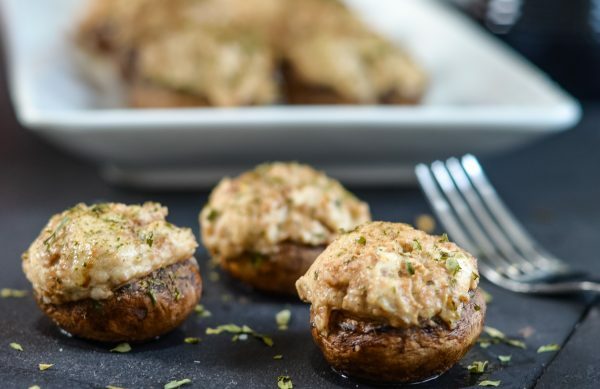 These Balsamic Glazed Stuffed Mushrooms will put you in just the right mood for holiday parties! 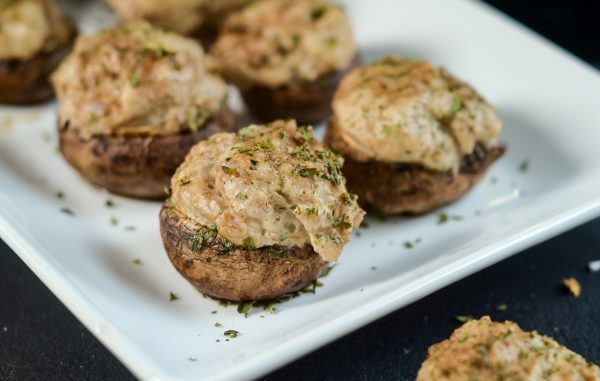 If there is one thing that truly reminds me of the holidays it’s stuffed mushrooms. I’ll admit there was a time where I wanted nothing to do with mushrooms. In my mind they were all poisonous. I know, crazy? Somehow when I was a kid I just knew they had to be poisonous so I refused to eat them. 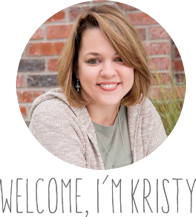 Then, I met my husband and he introduced me to the wonderful world of stuffed mushrooms. Soon, they became a holiday must have in our household. 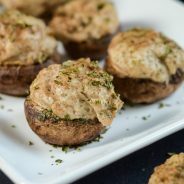 The best part is the flavor can be enhanced with these Balsamic Glazed Stuffed Mushrooms using Pompeian Balsamic Vinegar. 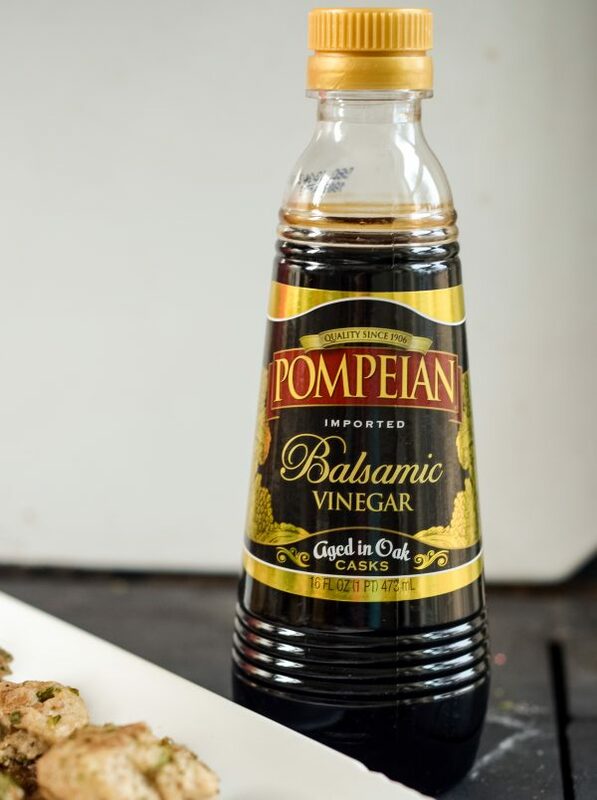 Why should you use Pompeian Balsamic Vinegar? Pompeian Balsamic Vinegar has a very distinct flavor that comes from aging of select grapes in wooden casks. 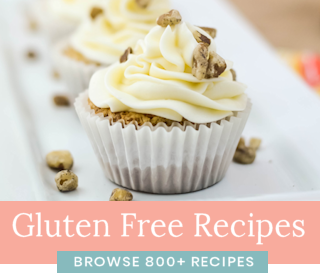 It’s very rich, dark and also gluten-free too! 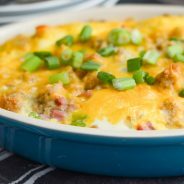 This flavor pairs wonderfully over the combination of flavors in the stuffed mushrooms. It enhances the flavor of the ingredients. It’s actually America’s best selling Balsamic Vinegar. 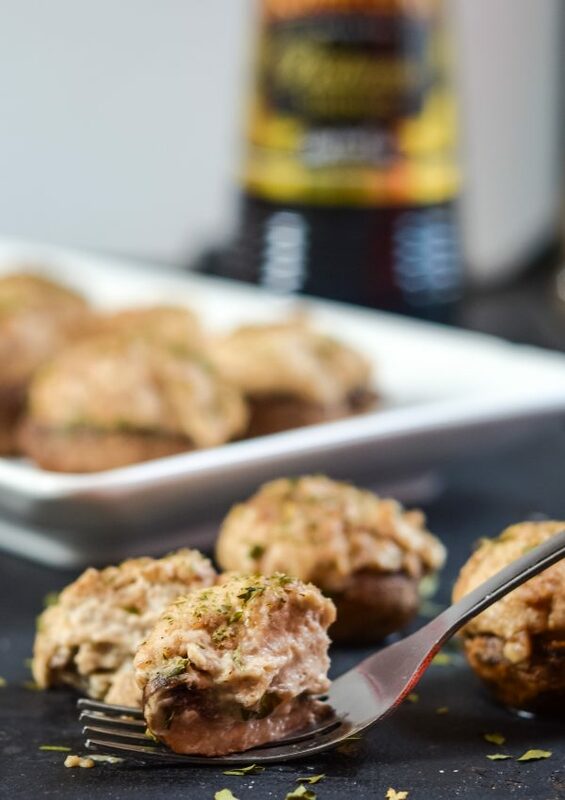 When making Balsamic Glazed Stuffed Mushrooms, it’s best to use Pompeian Balsamic Vinegar and Pompeian Organic Extra Virgin Olive Oil Spray. This is the best combination to truly bring out all of the flavor. 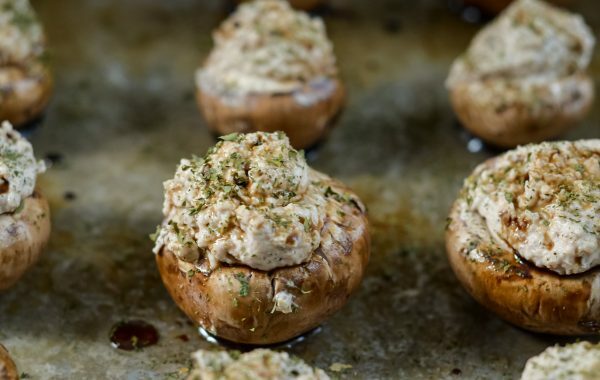 Many of us grew up with stuffed mushrooms over the holidays. Now with Balsamic Glazed Stuffed Mushrooms, you can easily take a food that you loved as a kid and make it your own! When I make stuffed mushrooms, I use ground sausage. Then, I add all the ingredients into a food processor and chop them up to a more fine consistency. 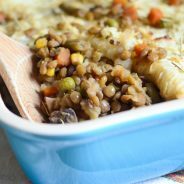 If you would like, you can even add the stems of the mushrooms into the food processor right along with the other ingredients. It just gives more bulk to the stuffing. 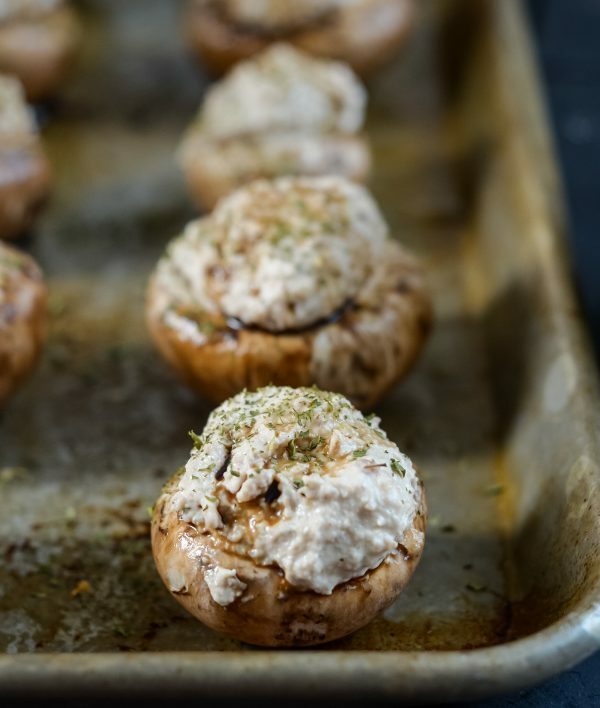 Once the ingredients are finely chopped up, spray a baking sheet with Pompeian Organic Extra Virgin Olive Oil Spray and place the cleaned, de-stemmed, mushrooms on the baking sheet. 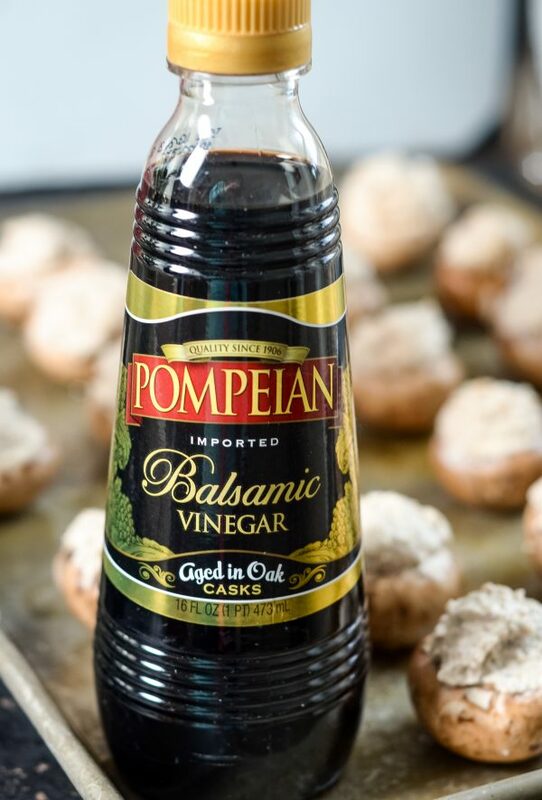 When you are ready to bake them, drizzle Pompeian Balsamic Vinegar on top and bake them for 15 minutes. It looks nice when they are served with a little bit of parsley on top. I promise, they won’t last long or at least they don’t around our house! 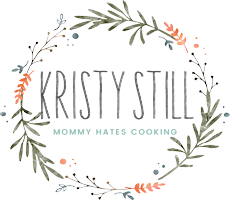 What do you need for Balsamic Glazed Stuffed Mushrooms? They are so simple and they look so elegant for holiday parties and events! 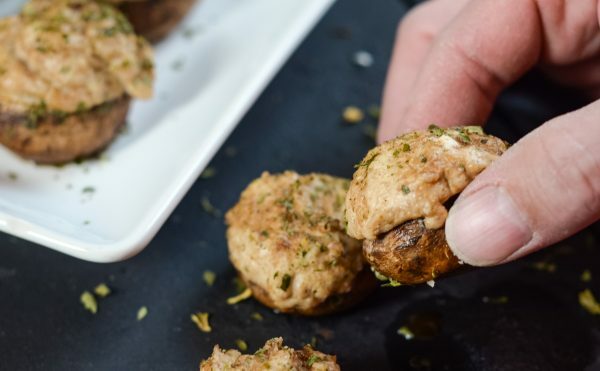 These Balsamic Glazed Stuffed Mushrooms will be a hit at your party and impress your guests. 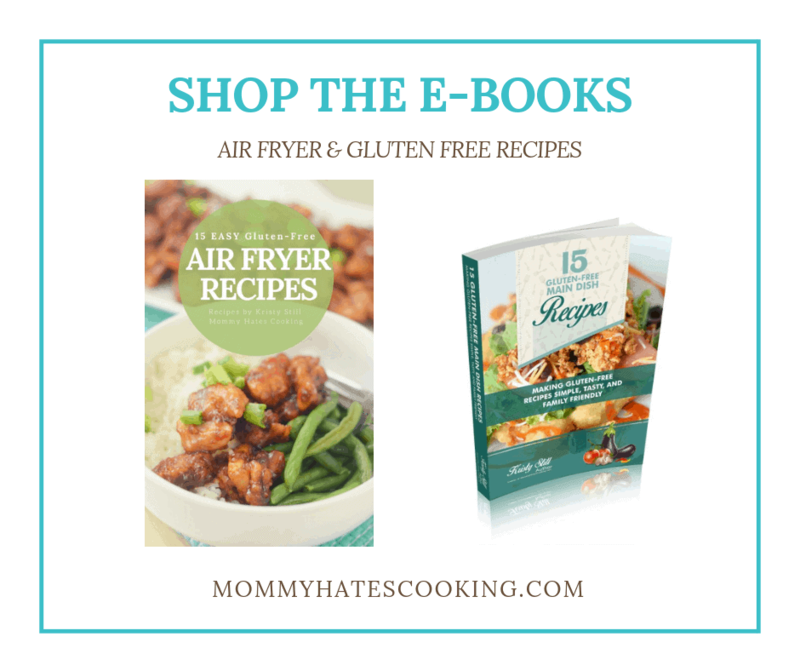 Be sure to follow along and show us what is #TrendingintheKitchen at your house! 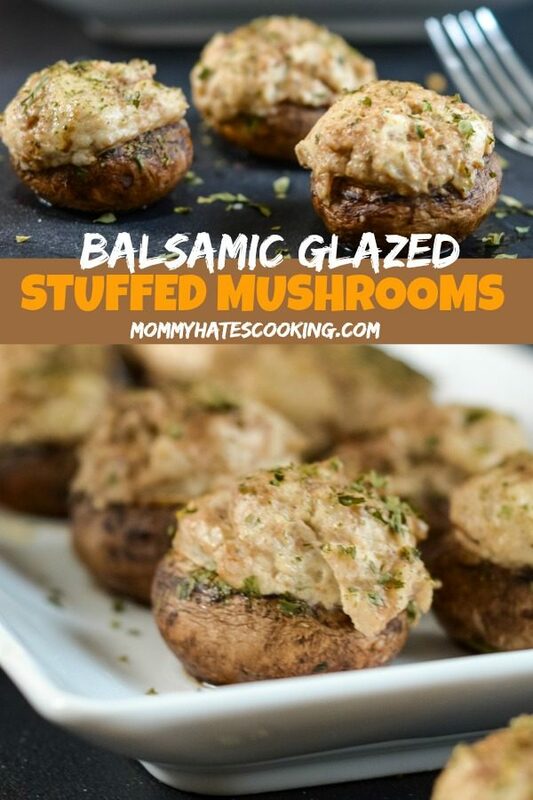 Make a delicious party food with these Balsamic Glazed Stuffed Mushrooms! Begin by washing the mushrooms and taking the stems out. Place the stems in the food processor. Add the cooked and drained sausage, cream cheese, and garlic to the food processor. Finely chop this until it's a nice consistency to stuff the mushrooms. Spray a baking sheet with the olive oil spray. Stuff each mushroom cap and place on the baking sheet. Drizzle with balsamic vinegar over the mushrooms and sprinkle with parsley. 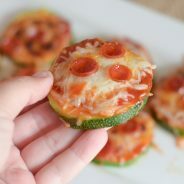 Bake for 15 minutes, carefully remove and serve.